Today we saw spring skiing at its best! Temperatures in the low 50s, bright sun, and plenty of snow. 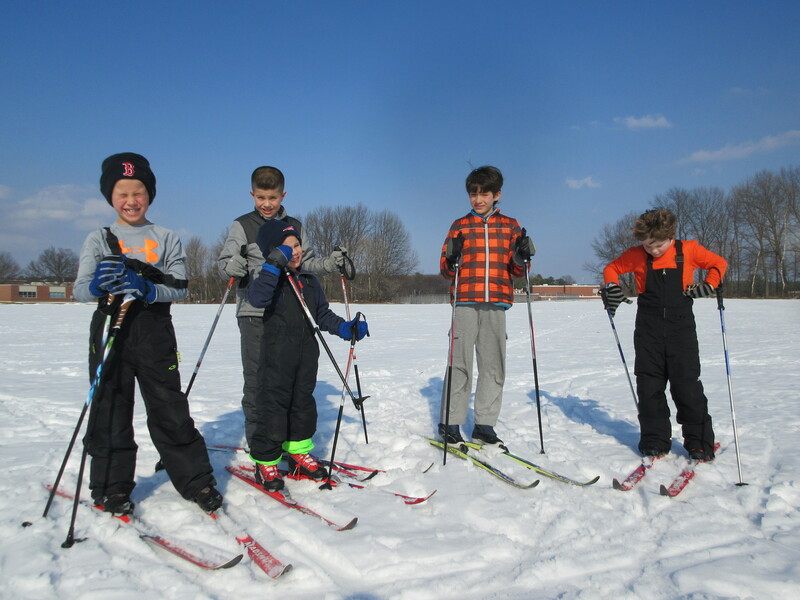 Five of our Bill Koch Youth Ski League members turned out for a fun ski. You can see a couple of them in tee shirts. We skied a loop that must have been a kilometer then settled in for a favorite game of red rover. It became obvious to me that over the season these youngsters have grown more confident on skis and have developed some lasting friendships and an appreciation of the great outdoors even in winter. Even though we’ve been on snow only a handful of times the improvements are most noticeable. As for coaching I have to thank the supportive parents and thank Mary Duclos for her help, the extra pair of eyes, and her contributions this season. This concludes my thirtieth year volunteering as the club’s youth coach. Sure I come home sore and tired, but these youth keep me young and share their enthusiasm. This is the most rewarding part of Nordic Ski Sport. What’s best of all? These guys are already talking about next season. And Matt, second from left, volunteered to be in charge of snow. How about before the next spring skiing event the club invests in a bunch of sunglasses? This is less than half of our crew shows up when there’s no snow. 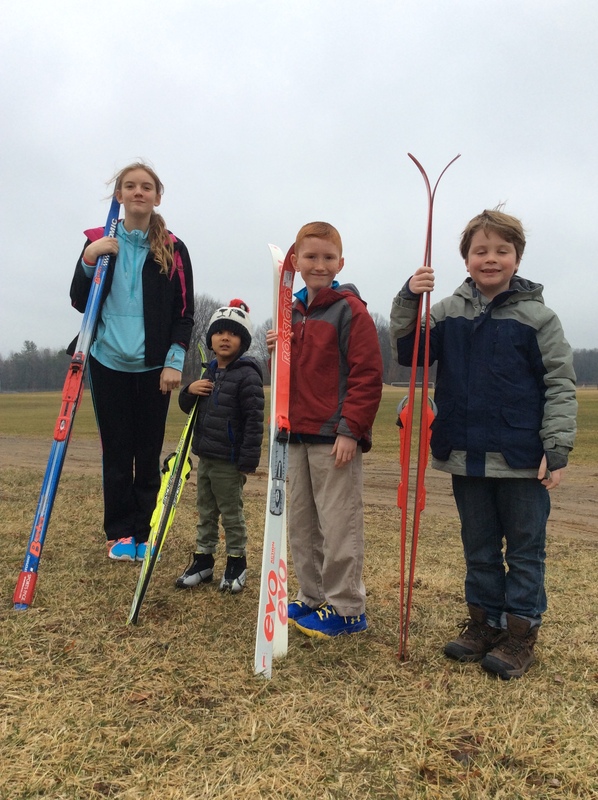 Like the rest of us the Bill Koch Youth are baffled by the warm weather. Here you see our crew ready for snow and we are left with games like Red Rover and Dodge Ball tag. These youth plant ice cubes, wear their P Js inside out, and sleep with a spoon (scoop side down) under the pillow? We still have a couple of weeks left to winter and who knows what April will bring. Don’t put your skis away, yet. Put a bit of F4 or similar glide wax on them so they will be ready to use on heavy wet snow we usually get these last few days of winter! Also check to make sure you have the end of season dinner on your calendar for Friday, March 24, 6 PM at the Shenendehowa Methodist Church hall.